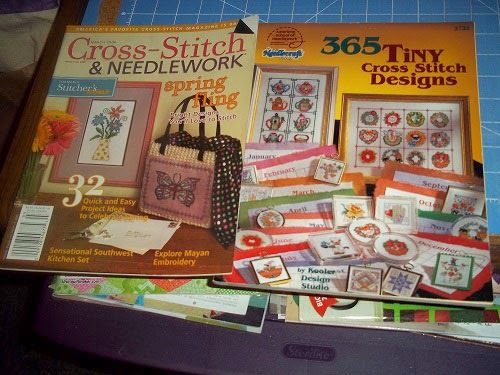 It is overcast and windy out with like 80% chance of rain today so I will be looking through my cross stitch books and magazines to find a project for the Spring swap I'm in. This is part 1 part 2 comes out sometime today and the rest will be each Tuesday for the next couple of weeks. As you can see I haven't felt like sewing much lately. but I do get like that so do others crafts then.